Demos for each race can be found under each rounds page at http://mxsemf.com/. Parker ALLEN, #709 (14948) - Docked three positions for starting gate violation. Billy KUNITZ, #142 (18057) - Docked three positions for starting gate violation. Alexis LECLAIR, #7 (6454) - Docked three positions in both moto's for cutting the track. Parker ALLEN, #709 (14948) - DQ for starting gate violation. Nick SKAKUN, #398 (18278) - Warning for unsafe track re-entry. Alexis LECLAIR, #7 (6454) - Warning for unsafe track re-entry. Trent SHEPPARD, #148 (23352) - Warning for taking out a leader as a lapper. Jakob HUBBARD, #778 (23971) - Warning for taking out a leader as a lapper. Dago ADAMO, #63 - Warning for unsafe track re-entry. Alex CUNNINGHAM, #266 (7878) - Warning for taking out a leader as a lapper. Travis HOFFMAN, #712 (5560) - Warning for taking out a leader as a lapper. Jared SIEDHOFF, #17 (5078) - Warning for aggressive racing. Chris CHANNING, #129 (17088) - Warning for unsafe riding. Alanas SAULYS, #259 (13377) - Warning for unsafe track re-entry. Broc PEARSON, #16 (7508) - Warning for connection related incident. Jake FISHER, #270 (21230) - Warning for unsafe track re-entry. Austin BEAR, #558 (10651) - Warning for unsafe restart after crash. Bobby DESSELLE, #38 (6994) - Warning for aggressive racing. Walter GEBHARDT, #31 (12235) - Warning for aggressive racing. Ryan HUDSON, #510 (28300) - Warning for racing a leader as a lapper. Isaiah DICKERSON, #65 (23262) - Warning for aggressive racing. Race KARLIN, #12 (6141) - Warning for connection related incident. Eduardo SIMOES, #80 (2048) - Warning for connection related incident. Bobby DESSELLE, #38 (6994) - Warning for racing a leader as a lapper. Colby EGELAND, #891 (23901) - Warning for aggressive racing. Alexis LECLAIR, #7 (6454) - Warning for aggressive racing. Noah NAPOLI, #720 (14996) - Warning for taking out a leader as a lapper. Noah NAPOLI, #720 (14996) - Warning for unsafe riding. Luke BARNES, #895 (21903) - Warning for unsafe track re-entry. Jake KAZARIAN, #412 (25653) - Warning for taking out a leader as a lapper. Gavyn MANNING, #504 (18730) - Warning for taking out a leader as a lapper. Issac MORGAN, #125 (2249) - Warning for unsafe track re-entry. Zach PROKOP, #92 (4072) - Warning for aggressive racing. Charles GABLE, #396 (17611) - Warning for connection related incident. Rogan MCINTOSH, #490 (28509) - Warning for unsafe track re-entry. Jake WEST, #233 (6739) - Warning for connection related incident. Austin BEAR, #558 (10651) - One week suspension for intentional takeout with track cut. Owen HILLMAN, #170 (7396) - Six week suspension. Jeremi SEABOLT, #19 (9061) - Six week suspension. 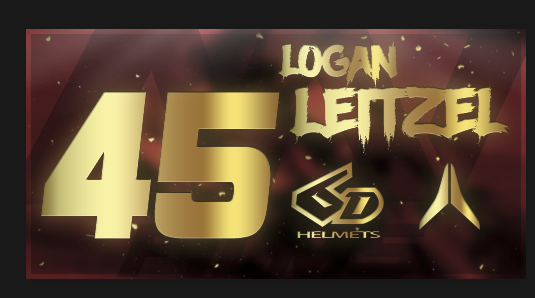 Cameron LEE, #43 (23800) - One week suspension for intentional takeout with no intent of staying on the track. Devin DAVIS, #410 #15 (4275) - One week suspension for intentional takeout with no intent of staying on the track. Muted in racing server for one month due to harsh language. Dago ADAMO, #63 - Two week suspension for racing leaders as a lapper for an extended period of time. This penalty will be served over three weeks due to the week break. Robert WILSON, #269 (8313) - Two week suspension for overly aggressive racing. Parker ALLEN, #709 (14948) - One week suspension for starting gate violation. Gunar FUGLER, #641 (7800) - Six round suspension. Caleb MORGAN, #774 (25184) - Six round suspension. Trent SHEPPARD, #148 (23352) - One week suspension for intentional takeout. Parker ALLEN, #709 (14948) - Suspended for remainder of series for keysharing. Dillon JAYNE, #255 (20568) - Suspended for remainder of series for keysharing. Matt CROMIE, #503 (5149) - Suspended for remainder of series. Hunter POARCH, #381 (4140) - One week suspension for aggressive racing. Logan BIPPES, #326 (28210) - Suspended for remainder of series for keysharing. Benjamin MILJKOVIC, #862 (18517) - One week suspension for intentional takeout. Doug OAKLEY, #139 (5723) - Suspended indefinitely for multiple incidents. Isaiah DICKERSON, #65 (23262) - One week suspension for aggressive racing. Robert WILSON, #269 (8313) - One week suspension for aggressive racing. Taylor DAVIS, #854 (3022) - Two week suspension for intentional takeout. Message : I know this is only practice, but Tyler should not be racing Pro class if he is going to just punt people. If you read the chat, he even said he was punting everyone he could. VERDICT : Cut a bale to make an aggressive takeout in a qualifying session. Message : JT Dee decides to make a very unsafe track re-entry, cutting across the track to take me out at the top of the up-hill roller section. VERDICT : Incomplete protest. Jt Dee was not near Tyler on the track at the time of the incident. Message : Was riding on the track and someone took me out by jumping onto the track unsafely. VERDICT : Nick has too much speed going down the hill and overshoots the turn. Nick jumps onto the track unsafely and collides with Jett. Message : Austin rolls the finish line and cuts the bales and rides directly into my line. Luckily enough I saw it coming and hopped out of the rut or else I would have crashed. Blatant takeout attempt + cut the bales. VERDICT : Austin rolls the finish line and rides around a bale then collides with Devin. PENALTY : One week suspension for intentional takeout with track cut. Message : Owen goes back on track as a lapper and runs it into me willing to put me on the ground. Im assuming him and Jeremi were doing it together, and they did it for the whole moto. VERDICT : Owen enters the track unsafely and collides with William. Owen made a mistake and slid out in front of Chase as a lapper causing him to crash. Owen waits on Rush in multiple occasions intentionally in attempt to take him out. PENALTY : Owen Hillman demonstrated a lack of respect to the racing series, the rules, and his fellow competitors by purposely targeting other racers and no longer trying to complete his own race successfully. When a racer does this, they not only hurt the racer they are targeting, any racers caught in the "crossfire", and themselves, but they also risk the integrity of the racing series in general. MXSEMF will not tolerate this behavior and has a history of very strict punishments for these types of activities. Owen has been suspended for six weeks. Message : Jeremi let me pass since I was lapping him, but decides to hold it 4th gear pinned into the corner but his punt attempt fails because I knew he was coming for it (A revenge since I landed on him before because of his fault?). Made Joseph crash. VERDICT : First incident, Jeremi jumps onto the track unsafely and collides with William as he lands on top of him. Second incident Jeremi aggressively goes to William's inside then slows down up the jump face causing them to collide. Message : troll in front of leaders. VERDICT : Fernando collides with Alexis as he is getting up from a crash and rides into Fernando's line. Fernando then wheelies over top of Alexis crashing again. PENALTY : No Penalty. Alexis Leclair has been issued a warning for unsafe track re-entry. Message : Cross line and cross jumping in front of a leader under blueflag. He had blueflag under 1s since more than 15s. VERDICT : Alex has the blue flag under 1 second. Alex does not allow Alexis by him as he makes a mistake causing them to collide. PENALTY : Warning for taking out a leader as a lapper. Message : Devin comes from off-track to the far inside and makes aggressive contact. I only wish to see a warning from this incident, no form of a penalty. VERDICT : Devin fails an attempted aggressive pass causing Sean to crash. PENALTY : Warning for aggressive racing. Message : im lapping him and he doesnt move and cleans me out. VERDICT : Trent has the blue flag at under one second. Trent makes a mistake and changes his line causing the two riders to collide. VERDICT : Rush brake checks Atom in the rut causing him to crash. PENALTY : No Penalty. We have noted it was an aggressive move. We allow aggressive racing; however, if a pattern of extreme aggressive racing is formed by a rider, an official warning and/or penalty may be applied. VERDICT : Jeremi intentionally takes out Chase Blakely as a lapper. Seabolt waits for Rush intentionally to punt him twice. PENALTY : Jeremi Seabolt demonstrated a lack of respect to the racing series, the rules, and his fellow competitors by purposely targeting other racers and no longer trying to complete his own race successfully. When a racer does this, they not only hurt the racer they are targeting, any racers caught in the "crossfire", and themselves, but they also risk the integrity of the racing series in general. MXSEMF will not tolerate this behavior and has a history of very strict punishments for these types of activities. Jeremi has been suspended for six weeks. Message : First incident at 17:52 he goes down and gets up going across the track and hits me. At 24:22 he is getting lapped and does not move for the leaders even though they are within 1 second of him. He did not move out of the way (or get passed) until 27:05. VERDICT : First incident, Dago goes down on the face of a jump. He rides backwards down the face and turns sideways and stops on the middle of the track where James collides with him. Second and third incident, racing leaders as a lapper. Dago does not allow the leader by after making a mistake with a gap of .4 at 24:21. Dago still not allowing the leaders by makes a pass on another racer allowing the leaders past at 24:42. Dago still not allowing the leader past at 26:49 passes another racer who is allowing the leader past. After a mistake from Dago the leader is forced to make an aggressive block pass at 27:05 as Dago attempts to race him into the corner. Dago receives the blue flag once again at 2.0 from another leader at 27:52. Dago passes another racer who was allowing the leader past at 28:34. Dago does not allow the leader to past forcing the leader to race him up a hill to get by at 29:09. PENALTY : Warning for unsafe track re-entry. Two week suspension for racing leaders as a lapper for an extended period of time. This penalty will be served over three weeks due to the week break. Message : Brake checks me. Then bonzis down the hill to kill me. PENALTY : No Penalty. We have noted it was an aggressive pass. We allow aggressive racing; however, if a pattern of extreme aggressive racing is formed by a rider, an official warning and/or penalty may be applied. Message : My man Jakob hubbard decided to go full sender on the last lap going for the big lines. VERDICT : Jakob enters from way off track and over jumps the downhill landing in front of Will causing them to collide. Message : Intentionally took out another racer. VERDICT : Devin after allowing a leader past intentionally takes out another racer with no intention of staying on track. PENALTY : One week suspension for intentional takeout with no intent of staying on the track. Devin has also been muted in the racing server for one month due to his harsh language in chat following the second moto. Message : Clean pass to intentional punt. He was pulling some dumb stuff in moto 1 as well. His comment was "its just a fun race chill", pretty hard to chill when he cleans you multiple times. VERDICT : Cameron cuts across the corner to collide with Devin. PENALTY : One week suspension for intentional takeout with no intent of staying on track. Message : hit me on purpose, he even slowed right down to make sure he hit me and knocked me down, he couldve went straight and not hit me but he made sure he did. VERDICT : Parker backs up and spins the back tire on the start. PENALTY : Starting gate violation. Parker has been docked three positions. VERDICT : Incomplete protest. You must include a link to the demo, time of the race and which server it took place in when submitting a protest for qualifying. Message : Alex comes flying back onto the track to jump in front of me and take me out as a lapper. VERDICT : Alex joins the track unsafely after a crash putting himself in front of Atom as a lapper. Alex makes a mistake in the rut and crashes causing Atom to get stuck. PENALTY : One week suspension for taking out a leader as a lapper. Message : Careless riding from Alexis to cut over on me. He rides 3rd person so he is well aware of his surroundings. VERDICT : Atom makes a mistake skipping over the rut. Alexis pulls up beside him and takes the inside rut on the drop down leaving no room for Atom, the two riders collide in the air causing Atom to crash. Message : Doug Oakley cuts the entire first turn on the warmup lap. Doug proceeds to do the same in the first moto. VERDICT : Doug cuts the entire first turn. PENALTY : Two week suspension for intentional, premeditated severe track cut on the start. VERDICT : Travis crashes on the step up with the blue flag under 2 seconds and Walter collides with him. Message : Made me crash with his lag. VERDICT : Broc comes into the corner where his lag causes Peter to get a falloff. PENALTY : Warning for connection related incident. Message : Jared does two intentional takeouts. Shows he was not racing, just trying to ruin someone else's moto. VERDICT : In the first incident Jared goes to the inside of Race and the two riders collide. In the second incident Jared brake checks Race causing him to crash. Message : Mistake from Channing while getting lapped causes him to get up sideways on the track. Breaking rule 2.7 and holding me up for almost 2 seconds. VERDICT : Chris slides out then rides backwards on the track then turns around in front of Atom as a lapper holding him up. PENALTY : Warning for unsafe riding. VERDICT : Robert showed a pattern of overly aggressive racing throughout both moto's resulting in multiple incidents with other riders. PENALTY : Two week suspension for aggressive racing. Message : Parker Allen, once again backs up and creeps forward until gate drops in both motos. He did the same at Rnd 3 which only docked him 3 positions. PENALTY : One week suspension for starting gate violation. Message : Billy spins his tire on the start and does not delay. VERDICT : Billy backs up and spins the back tire on the start both moto's. PENALTY : Starting gate violation. Billy has been docked three positions. Message : Jake rejoins the track unsafely and causes two of us to crash. VERDICT : Jake comes back onto the track sideways and collides with Broc and Peter. Message : track reentry before the finish line, he come from outside of the track and hit me. VERDICT : Incident did not occur, racer did not supply time of incident. Message : Gunar intentionally punts two racers. VERDICT : Gunar intentionally punts Alexis Leclair. Gunar allows Chase Blakely by to then punt him. PENALTY : Gunar demonstrated a lack of respect to the racing series, the rules, and his fellow competitors by purposely targeting other racers and no longer trying to complete his own race successfully. When a racer does this, they not only hurt the racer they are targeting, any racers caught in the "crossfire", and themselves, but they also risk the integrity of the racing series in general. MXSEMF will not tolerate this behavior and has a history of very strict punishments for these types of activities. Gunar has been suspended for six weeks. Message : Bad track reentry causing me to falloff. VERDICT : Austin slides out, Austin does not align himself then wheelies into Atom. PENALTY : Warning for unsafe restart after crash. VERDICT : Bobby fails an attempted aggressive pass causing Alex to crash. Message : Like always, Walter can't pass anyone clean so goes for a kill. VERDICT : Walter fails an attempted aggressive pass causing Sean to crash. Message : I was leading and was lapping Caleb Morgan that was in 30th and he let me by then held it wide open into me in the corner and crash me. VERDICT : Caleb allows Conner by then proceeds to intentionally punt him in the next turn. PENALTY : Caleb demonstrated a lack of respect to the racing series, the rules, and his fellow competitors by purposely targeting other racers and no longer trying to complete his own race successfully. When a racer does this, they not only hurt the racer they are targeting, any racers caught in the "crossfire", and themselves, but they also risk the integrity of the racing series in general. MXSEMF will not tolerate this behavior and has a history of very strict punishments for these types of activities. Caleb has been suspended for six weeks. VERDICT : Trent re-enters the track unsafely after getting up from a crash. He seems to allow Jack by and then intentionally takes him out in the following corner. PENALTY : One week suspension for intentional takeout. Message : Team EBR rider Ethan Gerst goes to punt me as I'm lapping him. VERDICT : Ethan allows Ryan by as a lapper. In the next corner, Ryan makes a mistake entering the corner where he seems to be falling. The two riders collide. Message : Parker Allen Must not get the memo after a warning and then a suspension to follow. He again did the "whole" wheel spin once again for this round in both moto's. Also please check his the IP address, he scored points for Dillon Jayne this round. Fishy?? PENALTY : After investigation Parker Allen & Dillon Jayne have been found guilty of key sharing. Both riders have been suspended for the remainder of the series. Message : Ryan Hudson pulls out in front of me at 20:52 and kept passing me back after I passed him shortly after that then races me after the finish going into first turn which lead to me falling after changing my lines since he wouldn't get out of main line. VERDICT : Ryan intentionally passes Issac after allowing him by a corner before. He then races him as a lapper. Ryan misses the triple on the leap allowing Issac by, Ryan uses the outside line to pass him back once again. Ryan does not allow Issac by after the finish and forces him to take an alternate line where he crashes. PENALTY : Warning for racing a leader as a lapper. VERDICT : Matt intentionally took out multiple riders and sat on the side of the track at times idle, was no longer participating in the race. PENALTY : Matt Cromie demonstrated a lack of respect to the racing series, the rules, and his fellow competitors by purposely targeting other racers and no longer trying to complete his own race successfully. When a racer does this, they not only hurt the racer they are targeting, any racers caught in the "crossfire", and themselves, but they also risk the integrity of the racing series in general. MXSEMF will not tolerate this behavior and has a history of very strict punishments for these types of activities. Matt has been suspended for the remainder of the series. VERDICT : Edward misjudges Devin's speed jumping into the inside rut. The two riders collide in the air. Devin collides with Edward after re-entering the track and riding diagonally across the track. Message : Chase recklessly runs into the back of me and causes the both of us to crash on the first lap. VERDICT : Chase misjudges Devin's speed jumping into the inside rut and they collide in the air. Message : At 5:19.7 in the demo you clearly see he is riding aggressively once he realizes it was me. Then at 6:25.7 he punts me 5th taped with no intent of turning. VERDICT : In the first incident Colby makes a clean but aggressive pass on Hunter entering the corner. In the second incident Colby aggressively collides with Hunter. VERDICT : Hunter attempts to takeout Colby and misses. In the next corner he attempts to take him out again and the two riders collide. In the third incident Hunter tries to punt Colby a third time and misses. PENALTY : One week suspension for aggressive racing. VERDICT : Bobby has the blue flag at under 2 seconds starting at 28:50. Bobby makes two passes with the blue flag at under one second. Alexis crashes in the rollers at 29:50 with Bobby still not allowing him past. Message : Passing him as safely as I can with his internet and he cleans me out for no reason. Insane lag. Moto 1: 4:01.0 teleporting in air. Moto 2: 1:46.0 you can see his wheel not even reacting to the erode. The lag was much worse on my screen. VERDICT : Eduardo goes wide and cuts down and collides with Cameron, Eduardo's lag causes Cameron to falloff. 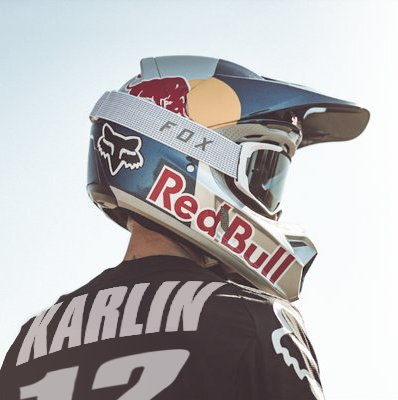 Message : Race karlin was racing the entire moto with tons of ping and teleport, impossible to pass and make me crash at 5.15. Lost arround 7-8secondes with this crash and he finished 4second in front of me. VERDICT : Race's lag causes Alexis to falloff. VERDICT : Isaiah carries too much speed down the hill and collides with Tyler at the bottom of the hill. PENALTY : No Penalty. This rule was changed and updated in the rulebook. The updated rule reads, "Moving the bike on the starting line closer or further away from the gate before gate drop is not permitted. If you move on the starting gate you must delay slightly at the gate drop to not gain any advantage. Spinning the rear tire on the gate is not allowed. Leaning the rider body on the gate is allowed. Compressing suspension on the gate is allowed." Message : Noah was being lapped by me and Caleb he had the blue flag still kept trying to race us. ended up taking me out around 21:40 during a battle then after that continues to try and race me and tried to dart me on the downhill at 22:44. VERDICT : Noah has the blue flag at 0.3 he races Ian to the corner and collides with him off of the hip jump. Noah goes down Mt Martin 4th pinned by Ian as a lapper and crashes off track at the bottom of the hill. PENALTY : Warning for taking out a leader as a lapper. Warning for unsafe riding. Message : I was running in 3rd place on the last lap when Rhys Harris was in 28th and he tried to get up after a crash but he was going sideways accross the track and hit me. I was holding my line because I saw that he was down. PENALTY : After investigation Logan Bippes has been found guilty of key sharing. Logan has been suspended for the remainder of the series. Message : Isiah Sent the wall on the first lap with multiple riders in front of him. This affected multiple riders races and it is not a pro level decision IMO. VERDICT : Isaiah hit the wall in traffic too fast landing on another rider causing a crash. Message : Insane lag causes me to get front end lock and crash. https://gyazo.com/952e0e013066979358b1cdad9d9c403a For the next half lap he is actually invisible. VERDICT : Charles' lag causes Atom to falloff. VERDICT : Caden avoids crashing landing from a front flip and collides with Atom trying to save himself from a falloff. VERDICT : Race attempts to pass Doug on the inside, Doug tries to go for the outside line. The two riders collide. Message : B check while getting lapped. VERDICT : Doug intentionally brake checks Atom as a lapper. Message : Punt attempt while getting lapped. VERDICT : Doug allows Atom by then attempts to punt him in the following corner. Message : Cutting track to attempt a punt. VERDICT : Doug intentionally cuts the track in attempt to takeout Atom. Message : Once again cutting track. VERDICT : Doug cuts the track in attempt to takeout Atom once again. PENALTY : Doug Oakley demonstrated a lack of respect to the racing series, the rules, and his fellow competitors by purposely targeting other racers and no longer trying to complete his own race successfully. When a racer does this, they not only hurt the racer they are targeting, any racers caught in the "crossfire", and themselves, but they also risk the integrity of the racing series in general. MXSEMF will not tolerate this behavior and has a history of very strict punishments for these types of activities. Doug has been suspended indefinitely. VERDICT : Zach leaves the braking in the first turn and collides with Atom causing a pileup. Message : I lapped him and instead of yielding he charged it right into the back of me costing me 4 positions by the end of the moto. He clearly had two people in the blue flag bar as well. VERDICT : Michael cases the first double into the rollers allowing Gavyn to catch up. Gavyn as a lapper jumps into the back of Trey causing the two riders to crash. VERDICT : Trey makes a mistake entering the rollers allowing Jake to catch up. Jake as a lapper jumps into the back of Trey causing the two riders to crash. VERDICT : Benjamin changes his course from inside to outside to intentionally take out Guilherme. Message : Luke crashed, then went off track and cut back into the track right in front of me causing both of us to go down. VERDICT : Luke does not align himself after crashing, rides across the track then rejoins at an angle colliding with Johnny. Message : Monty trys to hi a rut, does not shift down and rpm's continue to go up and hits me and takes me down the hill with him. Amazing TALENT. VERDICT : Robert carries too much speed entering the Screw U and collides with Chase. Robert makes no attempt to avoid colliding with Chase. Message : Rogan Mclintosh made a poor track entry causing me to crash and then getting stuck on the finish line and not being able to make it up without having to go back down to turn around. VERDICT : Rogan loses control and spins off track. Rogan turns around and rejoins the track sideways colliding with Ricky. VERDICT : Xavier goes to Josh's inside and block passes him. PENALTY : Two week suspension for intentional takeout. VERDICT : Jake's lag causes Race to crash. Last edited by Hi Im Skyqe on Wed Aug 22, 2018 10:21 pm, edited 16 times in total. Round 1 Pro & Round 3 added. EMF Crew's description : Colton is restarting quick after his crash. Nothing big tho. Alexis should have been more carefull. You killed two guys getting up from a crash. In my opinion, you are lucky to not receive a harsher penalty. I can't speak to this, as it was the EMF sanctioning body. My guess is because no one crashed (from what I can see) there wasn't a penalty or perhaps that's the way they handle their rules. You protested a rider for colliding with you as you were getting up squirrly and sideways from a crash. Just like with the Glen Helen protests, if you protest someone and we see something in the demo it'll be penalized. You took out two riders getting going from a crash. In case you're wondering, admins frown upon people protesting people for breaking the rules when the one filing the protest also is known to break rules. The protest system is in place to keep the racing as clean as possible, not as a way to take out your frustrations for a bad race or blame your results on someone else, or get "revenge" on a another rider. I will race colton nickname for futher race and put USA as number to be sure i will not have anymore problem with protest. skyzen wrote: I will race colton nickname for futher race and put USA as number to be sure i will not have anymore problem with protest.